So, I’ve been trying to get myself to create a food blog for a while now, just chalking it up to the “not enough time” excuse. I am about to be going into my junior year in college, and am currently on my summer vacation, so I thought now would be a great time to finally get this thing started. I absolutely love to bake, and have been doing so by the teachings of my mom with my two sisters since before I can remember. 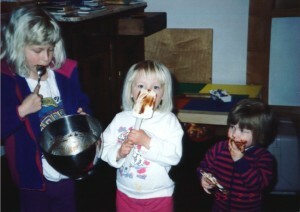 Me and my two older sisters after baking brownies! I thought about going to culinary school to become a pastry chef right out of high school, but considered doing college as a back up plan, just in case my culinary aspirations don’t quite work out. 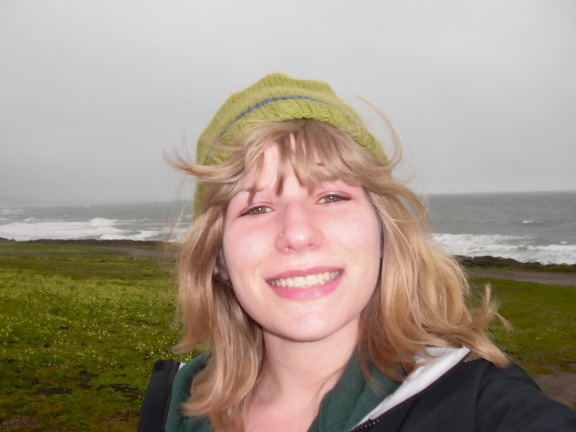 Well, I’m majoring in International Studies (with a focus in Globalization) and minors of Spanish and Anthropology at Humboldt State University in Northern California. I will be studying abroad in Spain this next school year in the Spring, and cannot wait to embark on that adventure! Anyone I’ve talked to about my plans for college and culinary school has said that I should be majoring in business if I want to own a bakery…and obviously this would be the ideal route towards creating a successful business down the line, but when I thought about what I was interested in to learn for four years, I thought International Studies fit more because I love to travel and want to become fluent in at least another language. When I finally get into doing the culinary school route, I will focus on taking on business classes as well. This summer, I had planned on going to the Santa Rosa Junior College to do their pastry school program. I also took on the idea of interning at a bakery in my hometown, without really knowing how much I’d be working or what kind of responsibilities I would be given. Well, when I got into the internship the weekend after I came home from school, I began to see how working in a bakery would give me hands on experience that could help me in deciding what I really want to do (while making some money), so I decided to postpone my culinary classes. I work four days a week from 5am to 1pm, and for the most part completely love it. I get to do the “morning bake”, where I put out the scones, cookies, tarts, éclairs etc. and am learning a ton about the general world of working in a bakery. I’m here to post recipes that I’ve been trying out or dreaming up! So here’s to summer 2012, full of baking and learning. Hehe thanks 🙂 yes of course shug. shug…put the peanut butter/tofee cookie you make at the bakery on here!